(This article was originally published in June 2014. We are reposting now because King Adulyadej died earlier today)… If you've been following world news, you may have heard about the recent military coup in Thailand. The intermittently violent takeover of the country by the military is a little bit overwhelming in its complexity. Thailand is a monarchy that has been ruled by one person for over 68 years. That person, King Bhumibol Adulyadej, is the longest reigning monarch in Thailand's history and the longest serving head of state in the world alive today. He is also the wealthiest monarch in the world thanks to an extremely valuable investment portfolio called the Crown Property Bureau (CPB). 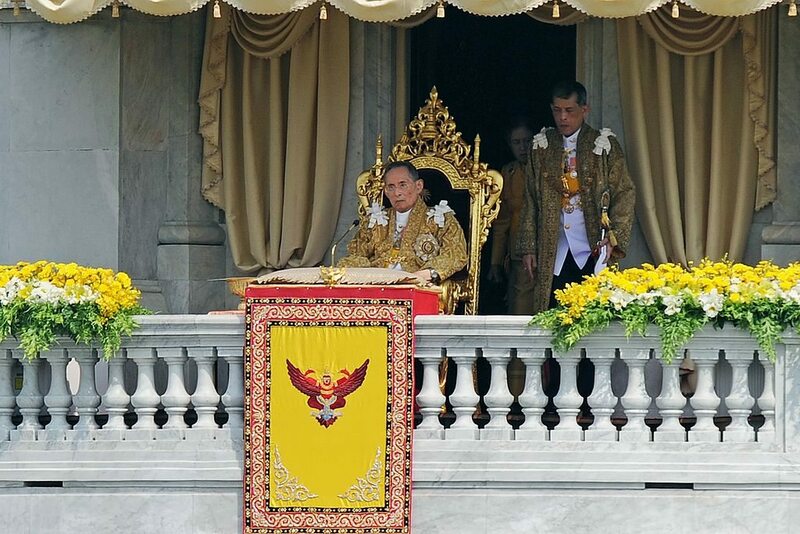 The King of Thailand has a personal net worth of $30 billion. Now typically when you hear about a military coup in a country where the royal family is extraordinarily powerful and immensely wealthy, you assume that the point of the coup is to dethrone the King and return his wealth to the people (or just steal it). Most Westerners probably assume that's exactly what's going on in Thailand, but that is not the case. The King doesn't actually run the country. The military leaders who just seized power, have no interest in stealing the Kings money. They actually still worship him as a God. Confused yet? So what's the point? Here's an overview of what it actually means to be the King of Thailand, why the military was able to take control, and why Bhumibol Adulyadej's wealth and popularity is where his real power lies. 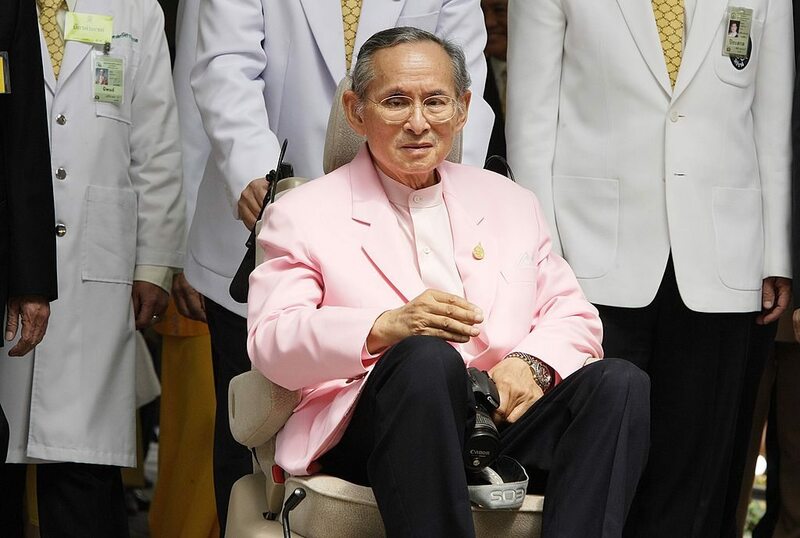 Bhumibol Adulyadej was born on December 5, 1927. He was actually born in Cambridge, Massachusetts. His father, HRH Prince Mahidol Adulyadej was in the United States completing a public health program at Harvard University. He was born the youngest of three children, and sadly, barely got to know his father. The family returned to Thailand in 1928, and his father passed away a year later. After attending school in Thailand for a few years, his mother moved the entire family to Switzerland. He continued elementary school at the Ecole Nouvelle de la Suisse Romande in Lausanne. As the younger brother in a family with two boys, he did not need to concern himself with preparing to become the next King. Bhumibol soon discovered a love of photography, and later music. He became an accomplished jazz saxophonist, and studied French Literature, Latin, and Greek while in school. He also had a great interest in science, and after enrolling at the University of Lausanne, he declared his major as science and technology. However, everything was about to change. His older brother, Ananda, had been King of Thailand since he was nine. The childless uncle of Bhumibol and his siblings, Prajadhipok, chose to leave the monarchy in 1935, and Ananda had been appointed child ruler in his stead. Bhumibol's older brother had grown up knowing his responsibilities. During Ananda's childhood, a regency council handled major affairs of state. When he reached age 21, he returned to Thailand to become ruler officially. However, on June 9, 1946, he was shot in the head while he was in bed. The last person to see him alive was Bhumibol. Three of Ananda's servants were tried for the murder and subsequently executed. Bhumibol was never formally implicated in the murder, but rumors that he may have accidentally shot his brother while they were playing with their guns persist to this day. Either way, Thailand now needed a new king. Bhumibol returned to school, changed his major to law and political science, and in every way, attempted to prepare himself to become the ruling power in his home country. While he trained for his position, his uncle Prince Rangsit ran the country. This included supporting a military coup that ultimately gave the monarchy more power. On May 5, 1950, Bhumibol officially assumed his duties as King of Thailand, Rama IX, the ninth rule of the Chakri Dynasty. In Thailand, he is known as Nai Luang or Phra Chao Yu Hua, meaning "the King" and "Lord Upon Our Heads", respectively. When he began his reign, the position of king was largely a figurehead, but through several strategic alliances (and yet another coup), he secured more power. He also made a point of going out amongst the people of Thailand, traveling regularly and attending ceremonies. At the same time, older traditions, such as crawling before royalty during important ceremonies, were reinstated. Many of the reforms were spearheaded by General Sarit Dhanarajata, who had staged the aforementioned military coup with Bhumibol's support. The choice to make Bhumipol both more visible, and more powerful, seemed to pay off for a time. However, after Sarit's death, everyone began jockeying for power again, and Bhumibol found himself confronted with a steady stream of military coups. Throughout the 70s and 80s, power changed hands between general after general in Thailand but the King never flinched. In 1992, after yet another coup, the military was back in power. 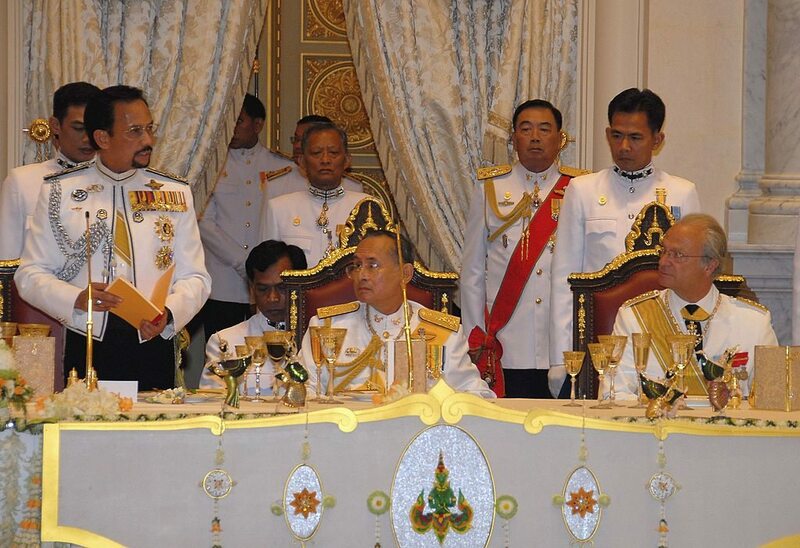 The leader of the military coup, General Suchinda Kraprayoon, had been "invited" to become Prime Minister. The population took to the streets in protest, resulting in escalating violence between protestors and the military. In a rare show of power, Bhumipol stepped in and demanded that Suchinda and Major General Chamlong Srimuang, the leader of the opposing pro-democracy party, meet and speak with each other on national television. The image of both men kneeling and crawling before the king, led to the Suchinda stepping down, and the country returned to a peaceful state. Through the years, more coups have occurred, as successive military leaders tried to gain a political foothold. The person who makes the day-to-day decisions about the direction of the country, is actually the Prime Minister, not the King. Bhumipol doesn't run the country. For all intents and purposes, he basically surveys his country from afar. What makes his position so interesting, is that he has an incredible amount of power… but only if he chooses to use it. A portion of his control comes from the fact that the population largely supports him. He's popular, and has been for decades. Additionally, per the constitution, he has the power to veto legislation, pardon criminals, and appoint just about anyone he wants to positions anywhere he wants. He's also got that $30 billion, kicking around. By law, he is the only person who can view the CPB Annual Report. More importantly, he is the only person who can make final decisions regarding the funds contained in the Crown Property Bureau. The CPB's assets include 3,320 acres of land in Bangkok; 13,200 acres of land in the countryside; $12.6 billion worth of stock in Siam Cement; 23% of Thailand's largest bank, Siam Commercial Bank; and interests in multiple development firms and insurance companies. The Bureau also serves as the landlord to roughly 36,000 rental properties around Thailand. Additionally, since it's the crown's money, none of that $30 billion is taxed. With the most recent 2014 coup, multiple generals again jockeyed for power, and the population railed against the fact that they were being denied elections. On May 26, 2014, Bhumibol gave his formal endorsement to General Prayuth Chan-ocha, who assumed control of the government. However, this coup is different than previous takeovers. In the past, once the new General established himself as the Prime Minister, the country returned to elections and civilian rule. General Prayuth has no immediate plans to relinquish the military's hold on the country, and with Bhumibol's endorsement, he now has the power to do whatever he wants. (Until someone else launches a coup, that is.) Only time will tell whether or not Bhumibol made the right decision. At age 86, there are questions regarding how much longer he will be fit to rule. 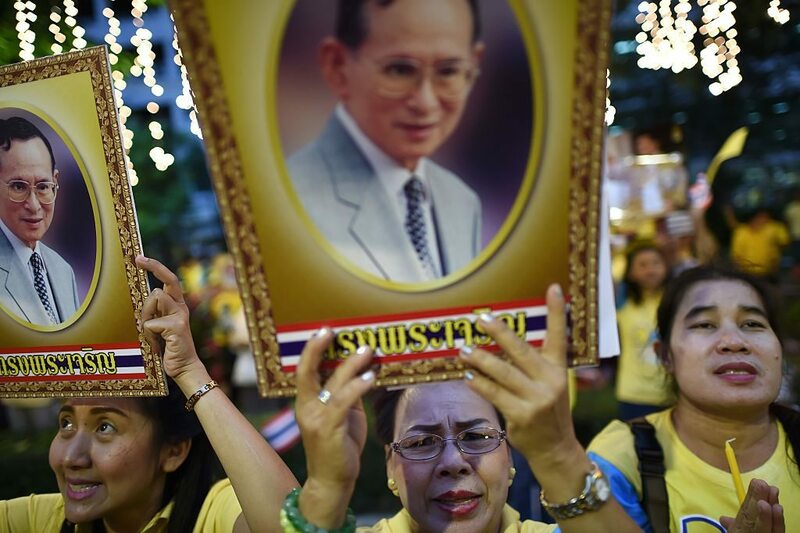 No matter whether he finally steps down out of necessity, or because he passes away, the change in ruler will have a massive impact on Thailand's stability, both politically and fiscally. In fact, the few times he's gotten sick over the years, Thailand's stock value has plummeted, as foreign companies/investors panic about the future of the country. Bhumibol Adulyadej may not run Thailand, but at this point, he may actually be the only person holding it together. King Bhumibol Adulyadej of Thailand received a cremation ceremony fit for a king this past Thursday. RIP King Bhumibol Adulyadej, beloved King of Thailand and the former longest reigning monarch in the world. Oh, and by the way, also the richest royal person in the world. Does The Royal Family Take Advantage Of UK Taxpayers?